This is the time of year when people inevitably start thinking of new horizons and sunnier climes. We have the usual raft of “Wanted down Under” and “Holiday Home Sweet Home” type programmes gracing our daytime viewing, and thoughts may well turn to the “wouldn’t it be nice to own a little B&B somewhere…” variety. So here we share our best tips on what guests want in a holiday home, and at the end is a quick video which has been created by our friends at Spain-Holiday.com. In the video they outline a few of the important things you must consider when finding the perfect holiday let business for sale – things that matter most in the rental potential of the property. I would love to hear your feedback about your own experience of buying a holiday property – is there anything you would do differently or lessons learned that would benefit others? Please do get in touch or leave a comment below. When you buy a holiday home, it has the potential to be more than just a place to have cheap holidays. Your investment property is also an opportunity to make money over the long term by renting it out as a holiday home in the weeks and months that you are not using it yourself. The most successful holiday rentals have a clear picture in mind of their ideal guest and do a great job of meeting their needs. A holiday home catering for family with pre-schoolers is going to be quite different to one aimed at retired couples with an interest in rambling and bird watching, but it is also important that you choose a niche market according to your own interests and lifesyle, so that your natural affinity with your guests actually becomes an asset in running your self catering business. Is the location of your property somewhere you yourself would choose to go on holiday? Can you clearly explain the benefits of staying here that will instantly appeal to others? This is very much tied in with the need to identify your ideal guest, because what may seem like paradise to you, may not hold the same appeal to your guests. So you must think about why they would choose to holiday here and be confident that the location adds to the property´s appeal as a rental and not just as your holiday home. For example, if you want to attract families with young children it is important that the home is safe. This may involve the possibility of fencing it in and securing the pool. Families with children also want easy access to supermarkets, restaurants, beaches, parks and playgrounds. If your guests are likely to be young couples without children then is there a romantic appeal to the property, such as fabulous views from a private balcony or an excellent tapas bar nearby? And can your birdwatchers and hikers be easily shown the best places to head for without too much difficulty? Key selling points in the holiday rental market are the views, distance to the airport and access to local restaurants and facilities. You might want to also think of distance to golf courses and ski resorts. Depending on your budget, the size of the property you buy may have a direct impact on your return on investment. Many families are now taking multi-generational holidays so while a two bedroom villa might once have been a good seller, nowadays it is possible that an additional Granny annexe or kids den would given the added USP that it needs to fill more weeks. On the other hand, cosy and romantic single bedroom city pads are also in demand as couples travel more frequently on short breaks with the proliferation of cheap flight routes. Regarding how the house is laid out, think of the necessary equipment and facilities your target guests would welcome: number of bedrooms? do they all need to be en-suite? is the kitchen going to be adequate? should you offer a work space with free Wifi? (Can you even get free Wifi?) etc, etc. If you are likely to attract guests with disabilities or in wheelchairs, there will need to be direct level access and plenty of space in the bathroom, kitchen, bedroom, front doors, etc. The better quality and more stylish the decor, the better your chances of appealing to a wide audience. Extras such as Wifi Internet access, cable TV, air conditioning and mosquito nets for windows and doors, where once considered a luxury are now expected as standard. The same applies to washing machines and dishwashers. 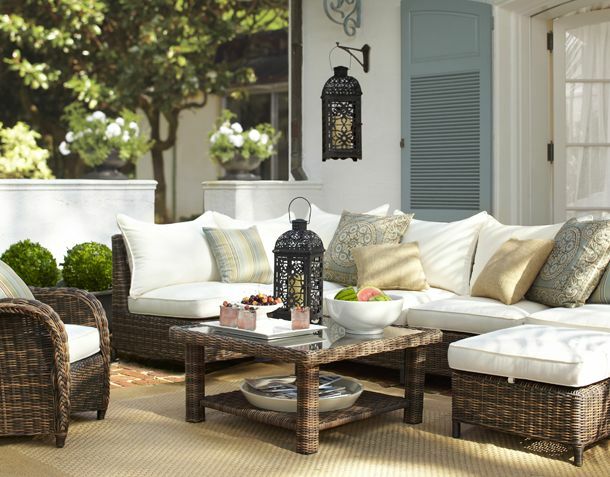 Finally, one of the crucial things I try to get across in my holiday home consultation work is that it is a mistake to decorate your holiday home with the cheapest, most easily replacable furniture that you can find. If you think about it, cheapening the property in this way means you probably wont be able to charge high enough rates to attract a quality clientele. The guests you do attract will be less likely to respect the furniture than if you go for a higher quality/ higher value strategy overall. It is often hard to spend a fortune on a swish interior designer when first starting out, but I have worked with several owners where we have been able to prioritise the essentials and they have been able to invest in upgrades bit by bit as the rentals have come in. Check out this case study series to learn more.